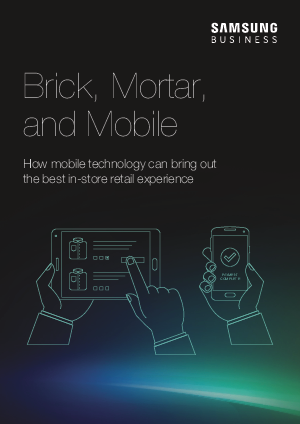 Mobile technology has made retail customers more educated, discerning, and connected than ever before. Three-quarters of customers now bring their mobile device with them when shopping in stores, and retailers can expect that they’ve done their homework online – and will continue to browse online while they’re browsing the aisles. Yet in many cases, there’s a substantial disconnect between the online and brick-and-mortar shopping experience. Retailers are finding creative and innovative new ways to close that gap, but may be held back by legacy systems and databases, as well as applications that can’t share information. By connecting sales-floor endpoints like tablets, smartphones, digital signage, and zero client/ cloud monitors to public and private clouds located in-store, on-line and at headquarters, retailers can not only provide the means to engage and inform customers, but also put the real-time information they crave right at their fingertips. These technologies can help boost sales, drive analyticsbased marketing, streamline operations, and reduce costs. The trick is to find the mix of mobile products and solutions that will work seamlessly within an organization’s brand and environment, from specialty retail to quick service restaurants (QSRs) and casual dining.